Disney’s The Lion King musical continues to reign across North America with a sold-out engagement in Toronto, which concluded on Sunday, June 15 at The Princess of Wales Theatre. The triumphant seven-week return grossed over $11.75 million at the box office and entertained more than 100,000 patrons during 56 performances. The award-winning musical premiered in Toronto in April 2000 at the Princes of Wales Theatre, where it played 1,560 performances through January 2004 and returned in 2011 for an eight-week sold-out engagement. It is estimated that the Toronto engagement of The Lion King musical generated a $48 million economic benefit to the city from travel, hotels, restaurants, parking and other businesses patronized by both theatergoers and production staff. This figure is based upon a Touring Broadway League report which found that, on average, Broadway tours contribute an economic impact 4.17 times the gross ticket sales to the local metropolitan area’s economy. 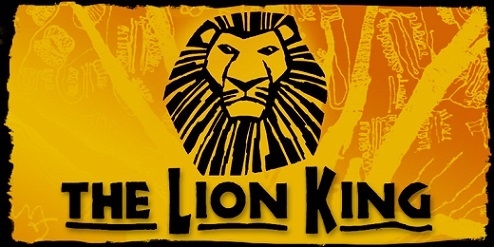 From here, The Lion King Touring company moved to Washington, DC performing at Kennedy Center Opera House from June 17 to August 17, 2014. Lion King musical is all set and is currently performing at Kennedy Center Opera House in Washington, DC from June 17 to August 17, 2014. 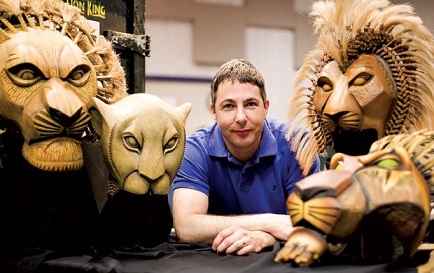 Know all about the Lion King’s Puppet supervisor, Michael Reilly – by KRISTEN PAGE. “I prefer puppet master. It sounds better,” says the man who manages the menagerie of puppets that make “Disney’s The Lion King” the visual spectacular that it is. The musical, based on Disney’s 1994 animated smash, is not the largest production Reilly’s been a part of (he was the “sword and armor guy” for a production of “The Lord of the Rings” that opened in Toronto in 2006) but the touring company of “The Lion King” (at the Kennedy Center through Aug. 17) certainly keeps him busy, even without any ringwraiths. Reilly and his team spend each show waiting for the puppet equivalent of 911; when the call comes over the radio, they rush in like ER docs. The biggest problem — literally — is often the 6-foot-tall African elephant, which requires four cast members to operate. “When she breaks, it’s pretty massive,” he says. So far Reilly and his team have a 100 percent success rate when it comes to resurrecting their patients. Buy Lion King Kennedy Center Opera House Tickets Online!